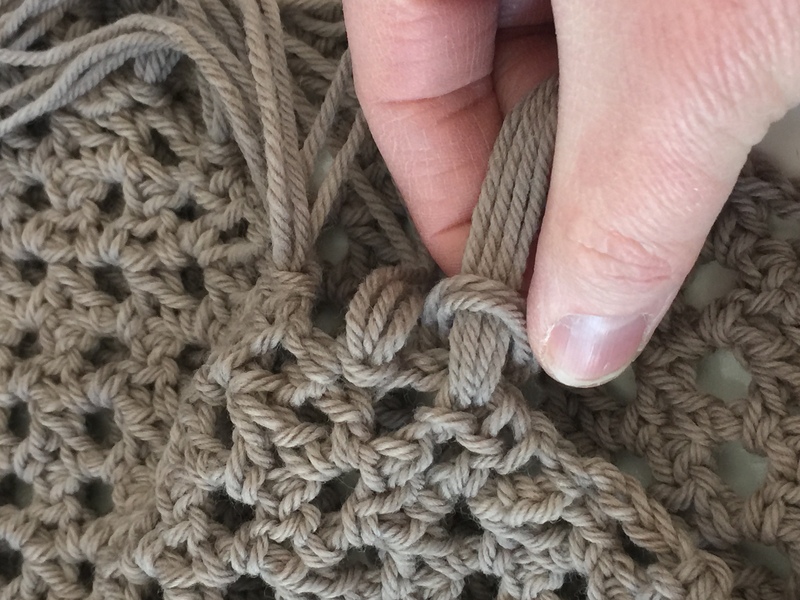 Do you ever just want to add a finishing touch to your crochet project? Fringe goes on just about anything. Scarves & cowls, purses & bags, skirts, and so much more. 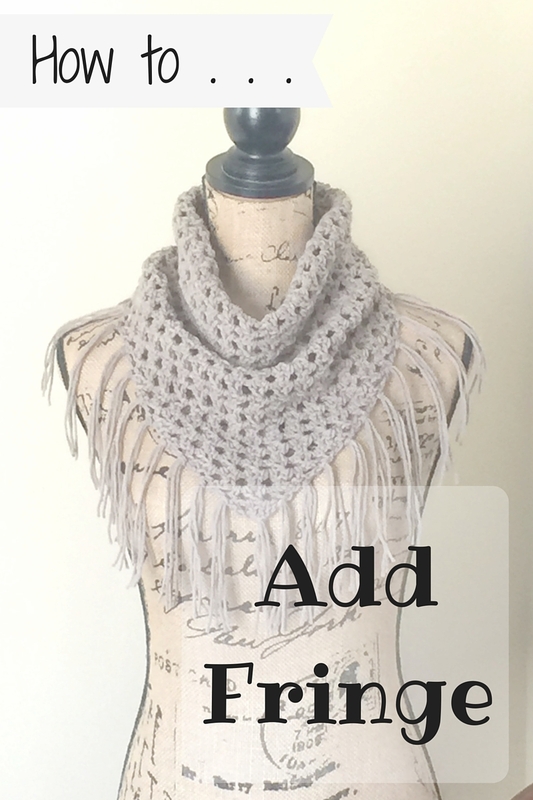 Below I will show you how to add fringe to any crochet project in 4 simple steps. Step 1: Cut your fringe to slightly more than double the fringe length you need. For my Oakley Fringe Cowl the finished fringe length was 5″. I cut each piece to 12″. Step 2: Hold group of fringe pieces together and fold in half. 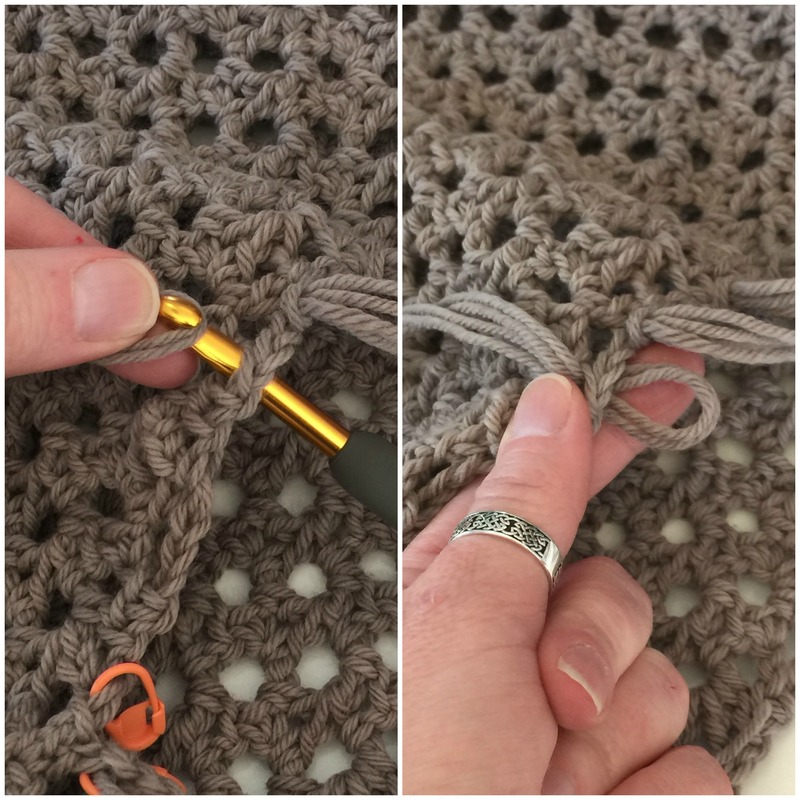 Step 3: Using a crochet hook, pull loop at top of fringe through spot in project where you would like your fringe placed. Step 4: Pull group fringe ends through loop. 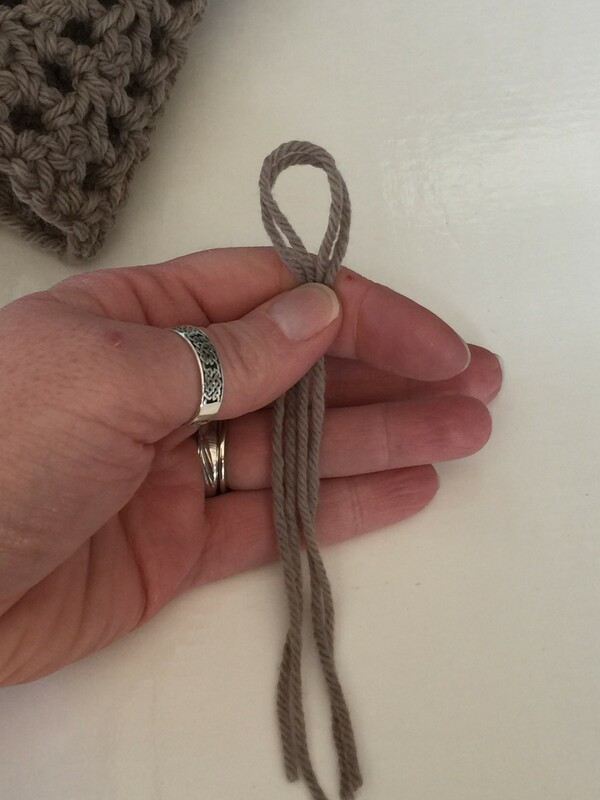 Step 5: Gently tighten and secure without pulling fringe away from project – which could create an unintended space/hole. 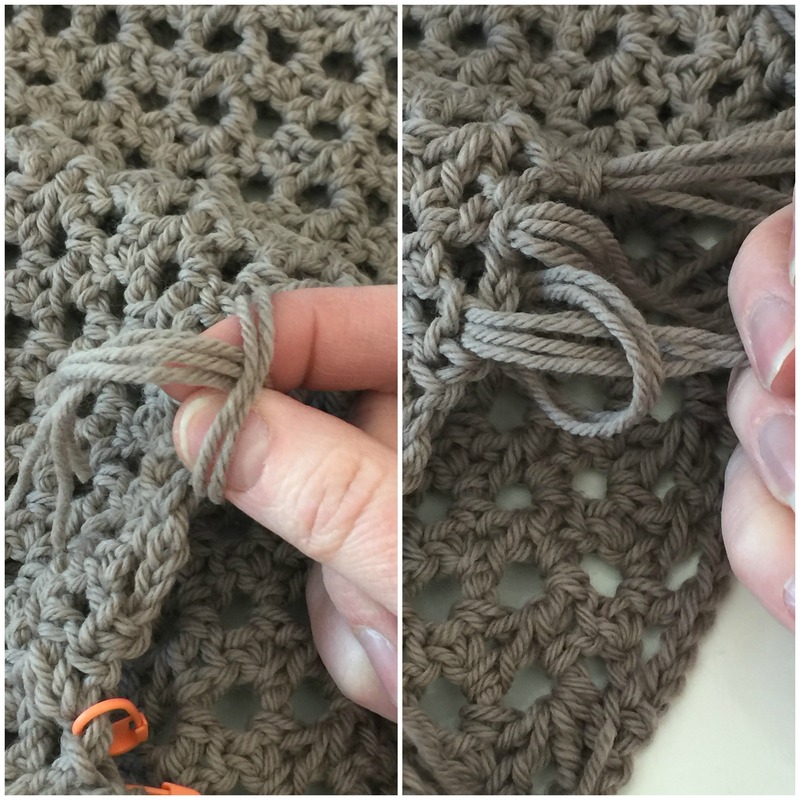 Repeat Steps 1 – 5 until fringe is placed as closely or spaced out as you need it to be. It’s as simple as that! You can add it to anything to give your project a different look or style. What kinds of things do you add fringe to?